Christmas is the most celebrated holiday by Christians around the world. Celebrating Christmas in Israel is an experience of a lifetime, and over two million Christian tourists make a pilgrimage to Israel to partake in the festivities. While there are a few Christians (a little over two percent of the total population) living in Israel, the most important Christian ceremonies are held in the Holy Land. Around this time of year, around 75,000 tourists from all over come to Israel to participate in the large midnight masses and visit religious sites. 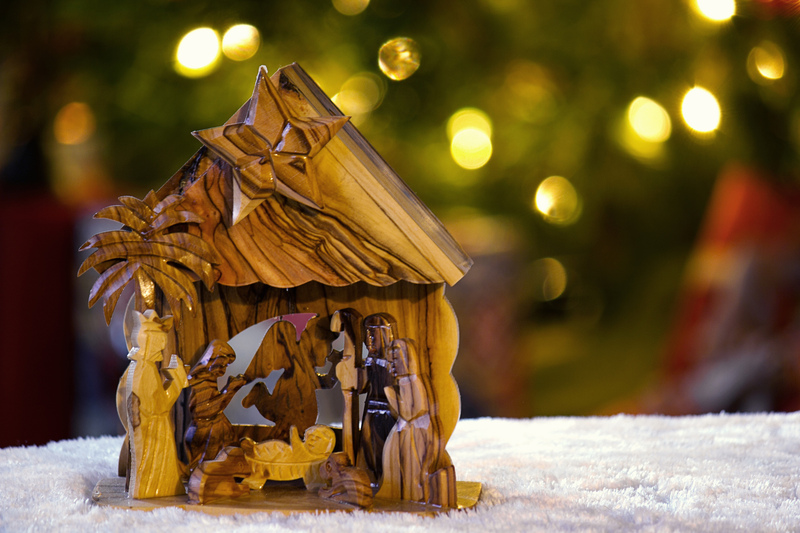 Although the vast majority of Israelis do not celebrate Christmas, there are several Christian communities in Israel where visitors can participate in events. Christmas markets have already been set up and are operating in various cities around Israel. Despite the fact that Christians make up the minority of the Israeli population, Jerusalem is usually in full Christmas décor. In Jerusalem, in particular, the Armenian quarters, the Old City is adorned with decorations, while other Jerusalem landmarks, such as the city’s churches, celebrate with services and carol concerts. The YMCA on King David Street is also decked out for Christmas. A large tree is decorated and the season is finished off with a Christmas Eve Family Carol Service on December 24th. In the Old City, people go to Via Dolorosa and watch pilgrims from around the world walk this famous route with the cross of Christ over their shoulders, adding more authenticity to the Christmas spirit. Joining this procession is perhaps the best way to experience the full devotional atmosphere of the pilgrimage. Nazareth is believed to be the hometown of Jesus, according to many Christians. It is the largest Arab city in Israel and is nestled in the tranquil hills of the Galilee, making it incredibly unlikely to have snow at Christmas. 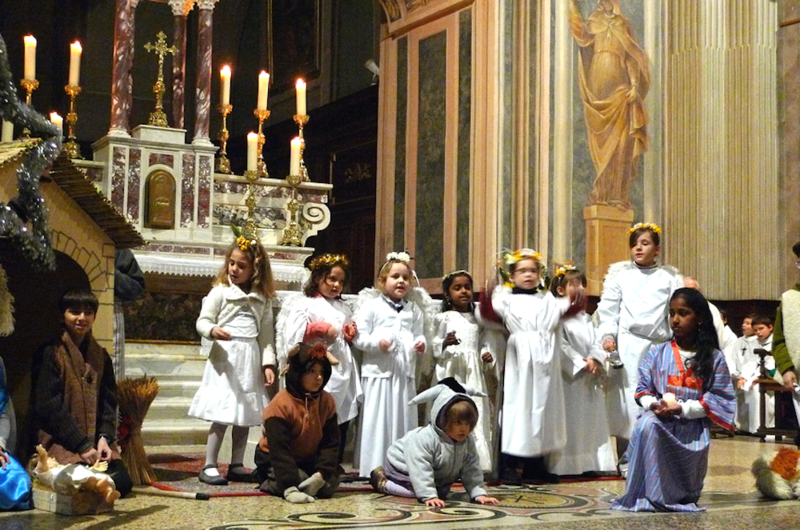 The city’s large Christian population celebrate Christmas along with thousands of tourists who visit for the holiday. Regardless of the time of year you choose to visit Israel, Nazareth is a picturesque and fascinating city to explore for its rich history and architecture as well as its present-day mix of Christian and Muslim citizens living together in peace. However, Christmas adds a holiday flavor to the city. 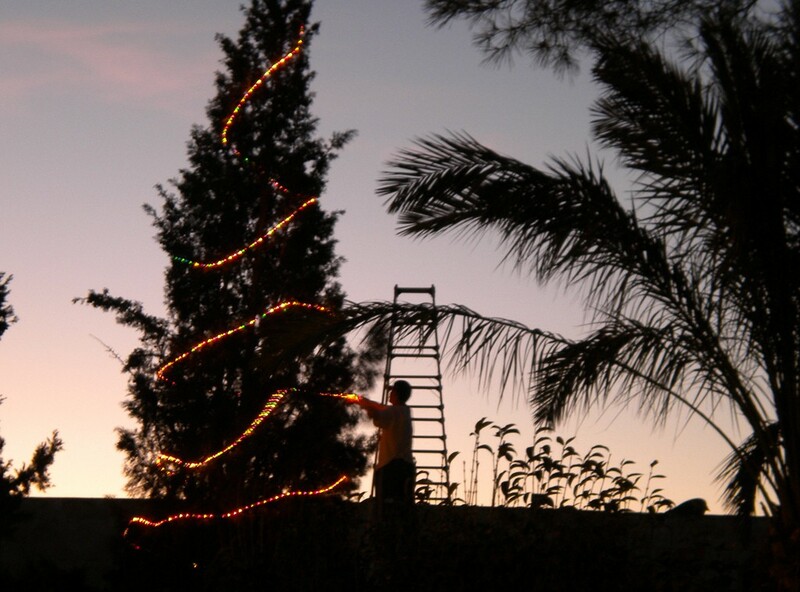 The Christian population in Nazareth customarily decorate their Christmas trees, which can be seen across the town, don their Santa costumes, and celebrate the birth of Jesus with festivals, church services, presents, and parties. On the eve of Christmas, there is a massive colorful procession, which is hard to miss, through the town to celebrate. The northern city of Haifa is one of the best places in Israel to experience faith, happiness, love and the intensity of light. 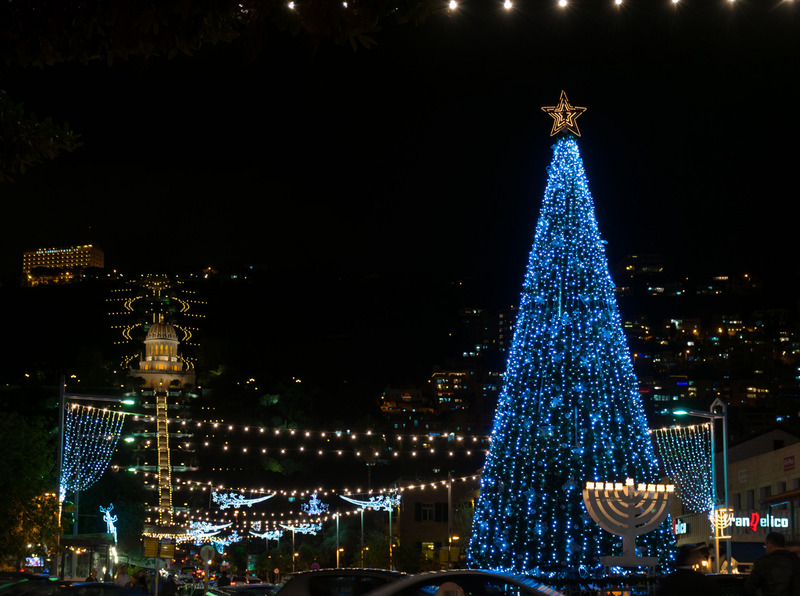 Around this time of year, Haifa is decorated with lights and a giant Christmas tree that stands alongside a Hanukah menorah. ‘The Holiday of Holidays’ is a weeklong festival where Jews, Christians, and Muslims all meet in galleries, markets, and other events, dancing and singing, enjoying street food and performances along with other activities they immensely enjoy together. This festival usually takes place in the neighborhood of Wadi Nisnas, where Jews, Christians, and Muslims live side by side. Notable events during this festival normally include an open-air exhibition on neighborhoods, photography exhibit, a Christmas-tree lined boulevard with festive lights and decorations, Christian liturgical music concerts, antiques fair, international writers convention, activities and exhibitions for children, open-air events and free entrance to the museums in Haifa. If you are in Israel for this holiday season, it is highly recommended that you come celebrate the shared spirit of good cheer and goodwill in Haifa by everyone!